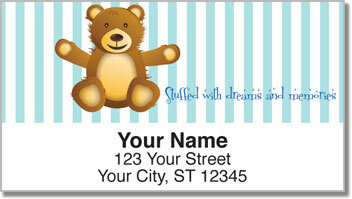 These adorable return address labels let you send out a little encouragement with every piece of mail. They feature furry, stuffed teddy bears with tons of personality. Each design also has a unique quotation that can be inspirational or humorous. Either way - you'll brighten the day of everyone on your mailing list. Your day will get a little better too! That's because these labels are self-adhesive. So the tiresome task of filling out envelopes becomes super simple. Just peel, place and move on! 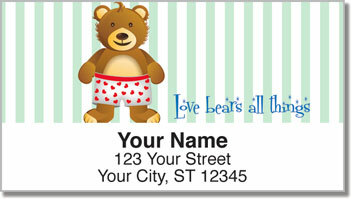 You'll want to give us a big bear hug for making your life easier. 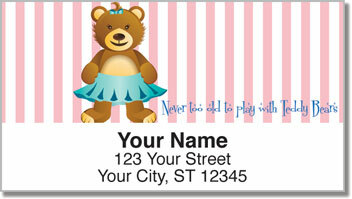 Get your very own Cuddly Teddy Bear Address Labels from CheckAdvantage right now! 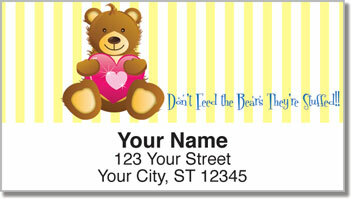 You can also complete your order with matching checks.